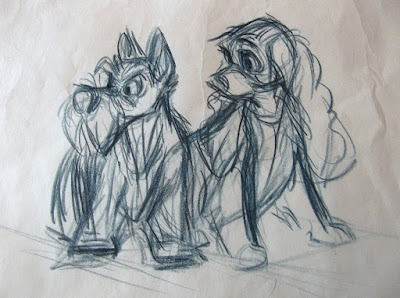 An animation colleague of mine said this about the film Lady & the Tramp: "Oh, it's just a soup opera with dogs. 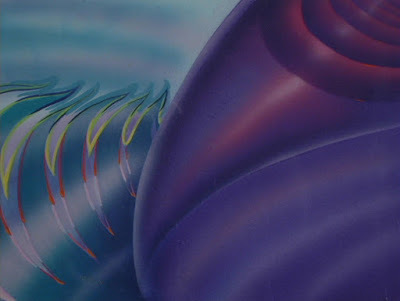 Boy gets girl, boy looses girl, boy gets girl in the end." 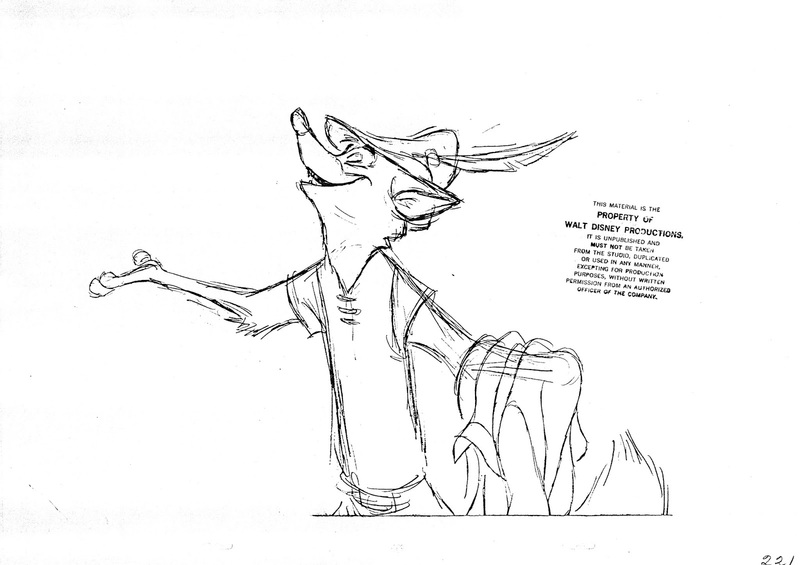 Be that as it may, I think the movie's story is compelling and in support of rich characters. I remember listening to a Walt Disney interview, in which he said this about the film: "Lady & the Tramp turned out well. We felt it, we felt the personalities." 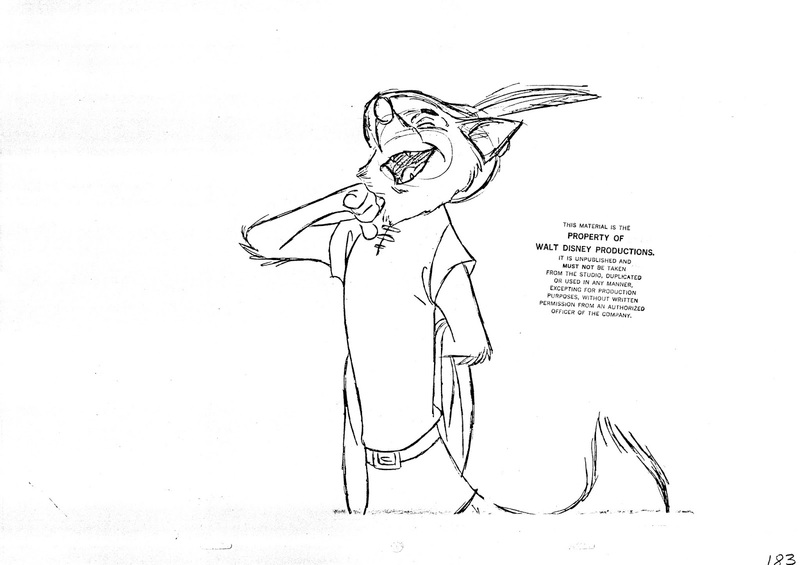 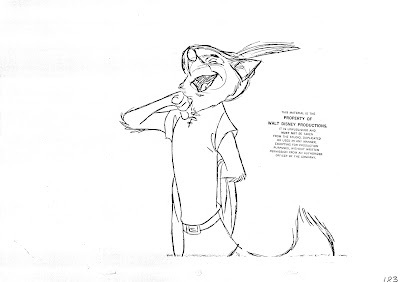 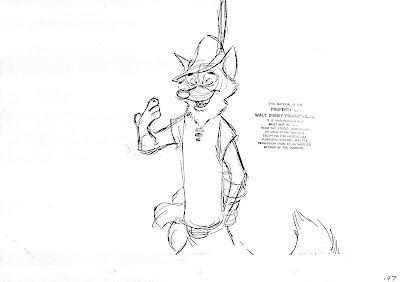 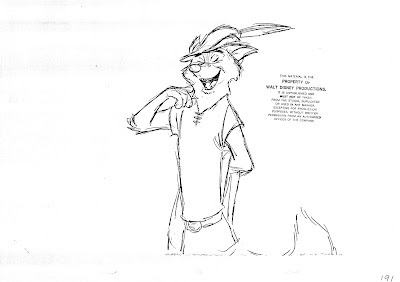 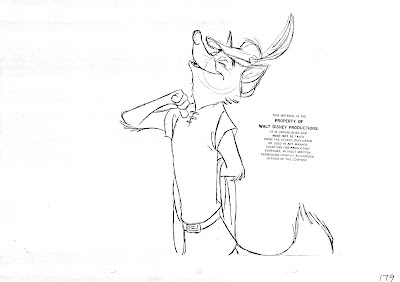 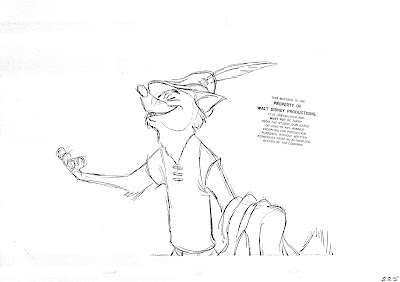 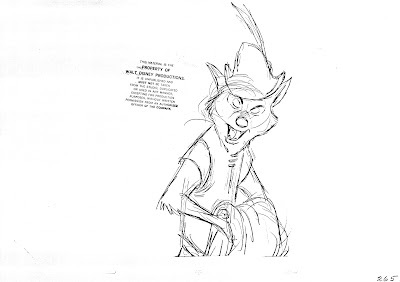 Milt Kahl was equally fond of the film: "L & T is a good movie, I did a lot (of animation) in that. 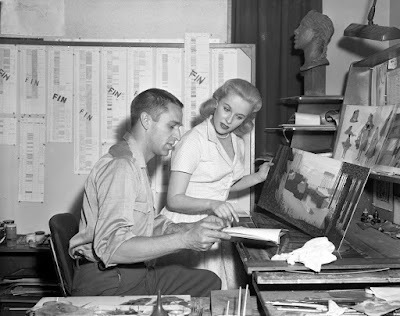 Of course the best thing in it is Eric Larson's dog, the one with the Veronica Lake hairdo...I forget her name now." 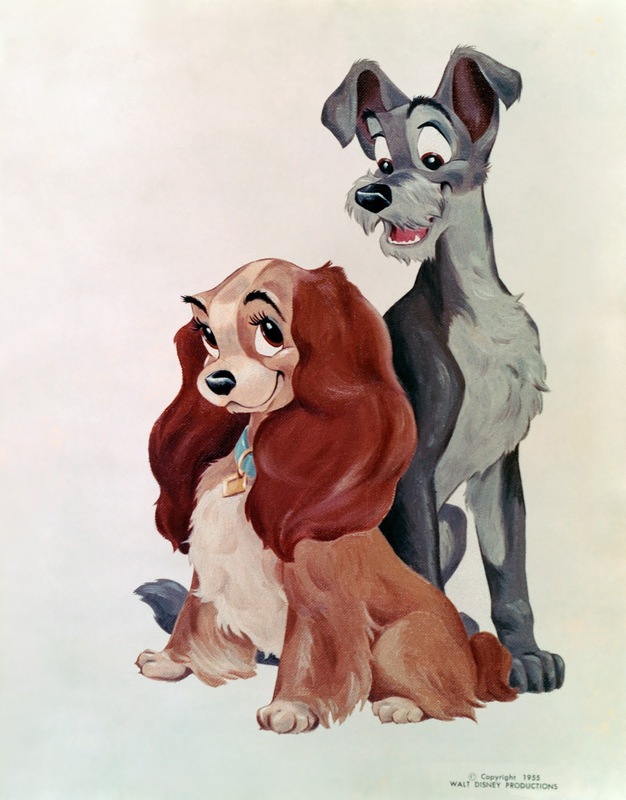 Publicity illustrations like the one above are a hit and miss, when it comes to Disney advertising art. 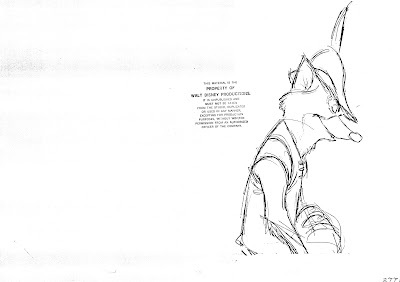 Fully rendered, painterly versions of the characters can look cheesy when in the hands if the wrong artist. 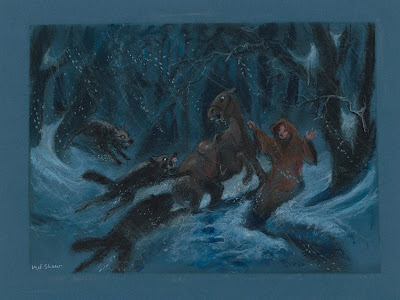 But this one is on model, and the dogs' fur is skillfully rendered. It looks charming. 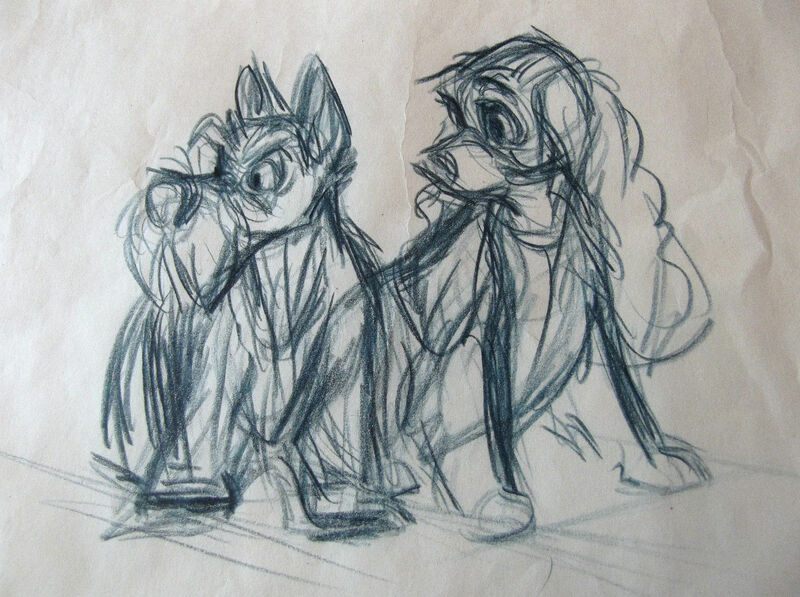 Frank Thomas roughed out this composition of Lady and Jock, as they react to Tramp's presence. Their emotions couldn't be more different: Jock is annoyed with the intruder, while Lady is still reflecting on the way she was treated by Mrs Darling. 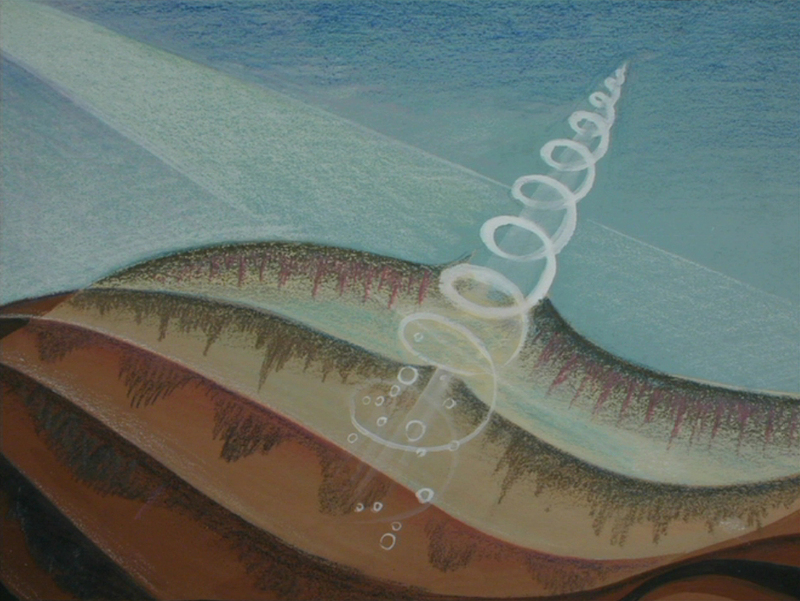 On the surface this is a very sketchy drawing, but it is very clear nonetheless. 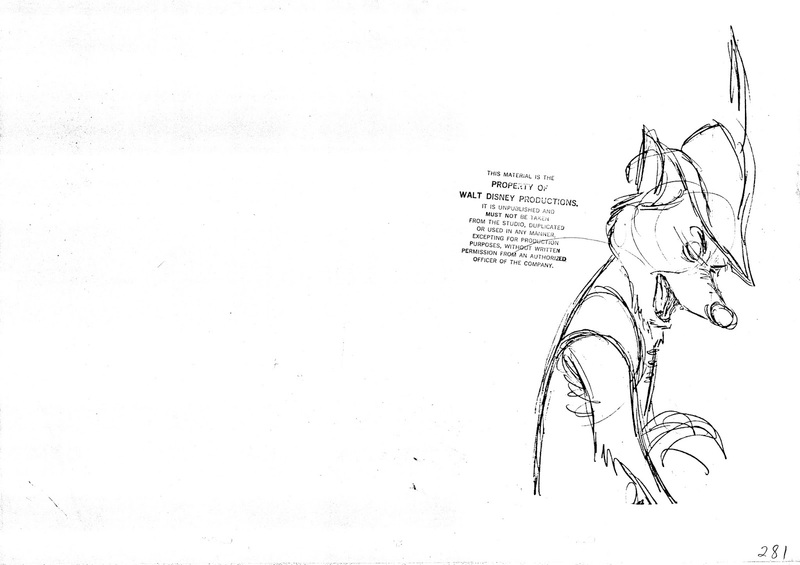 Frank's feelings on paper. 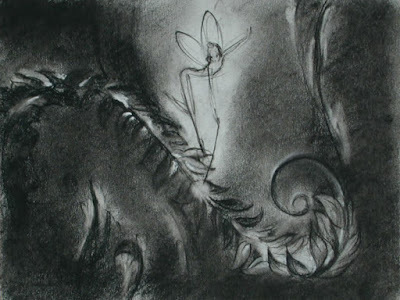 The corrected version as seen in most prints of the film. 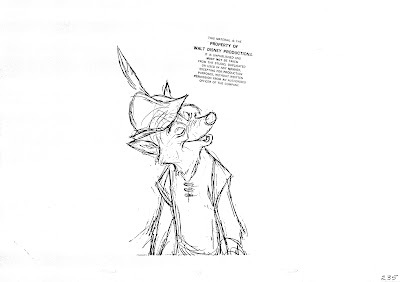 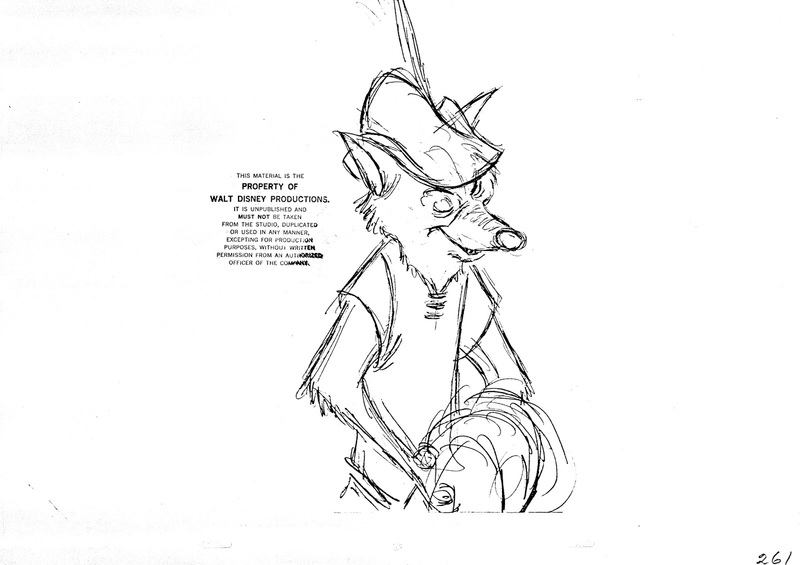 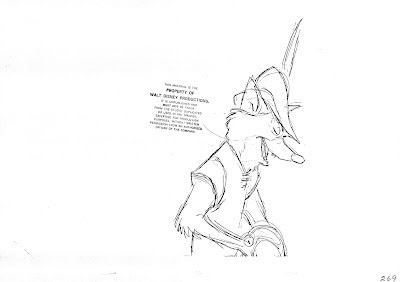 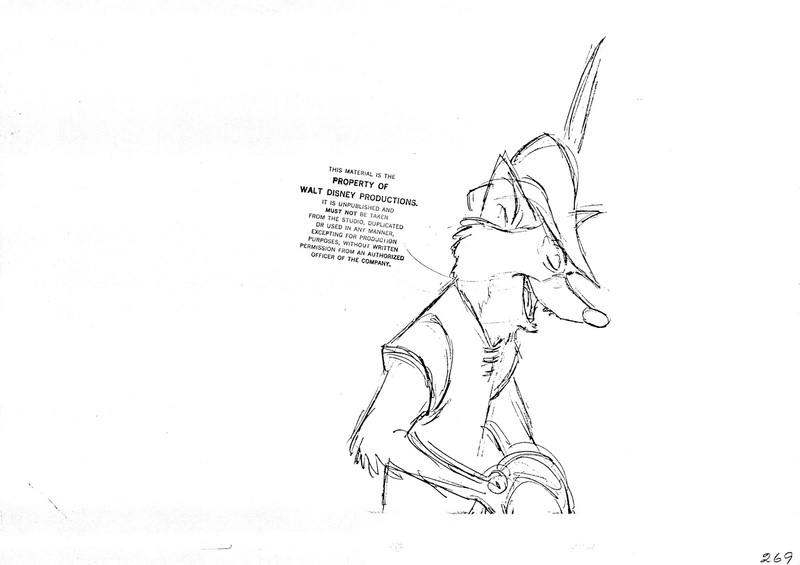 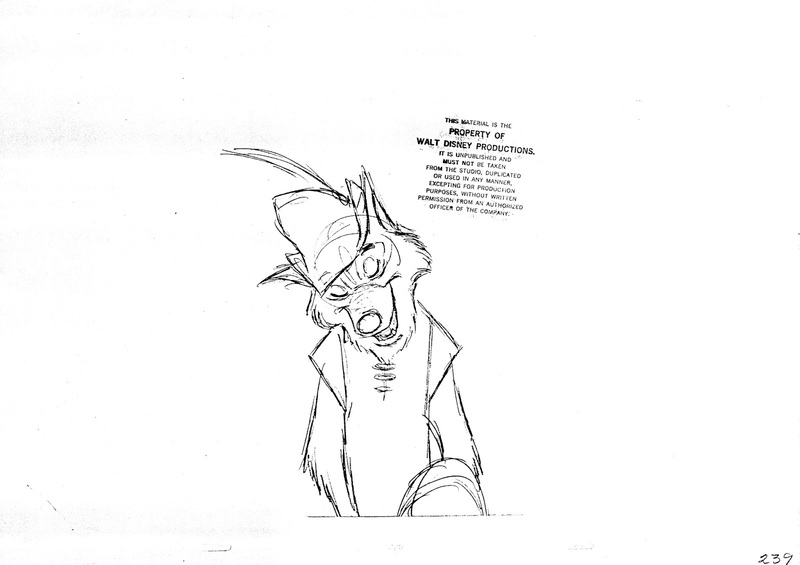 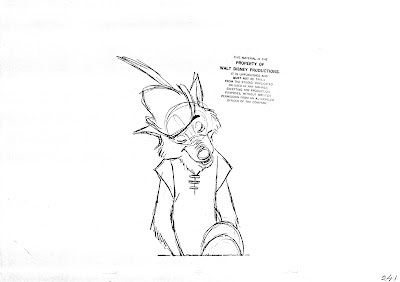 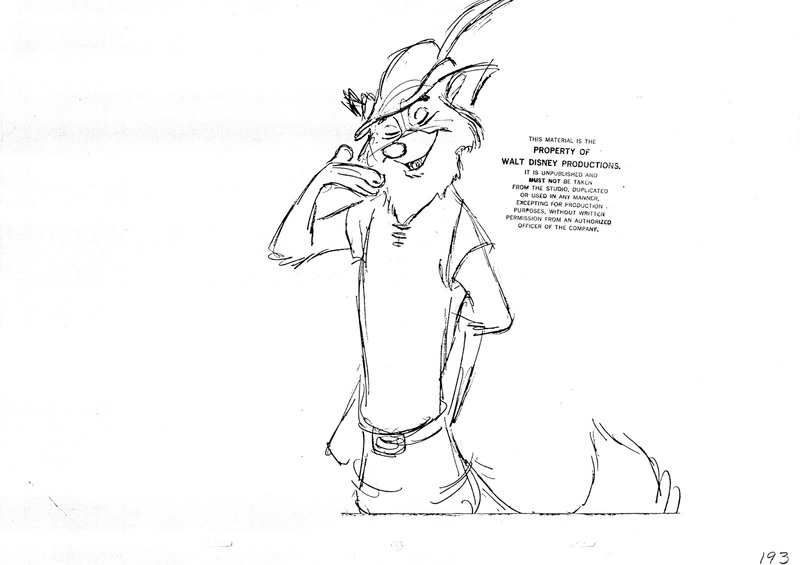 Milt Kahl took "realistic" squash and stretch to a whole new level when he animated dialogue scenes with Trusty. 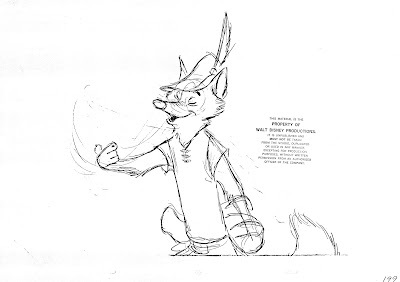 His huge muzzle gave Milt the opportunity to exaggerate follow through motion as well. 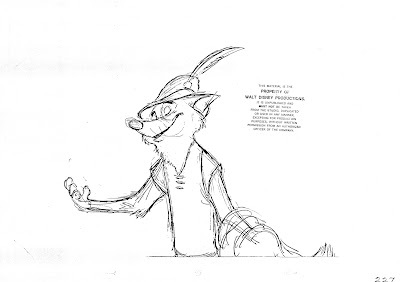 You can tell, he had a ball animating this character. 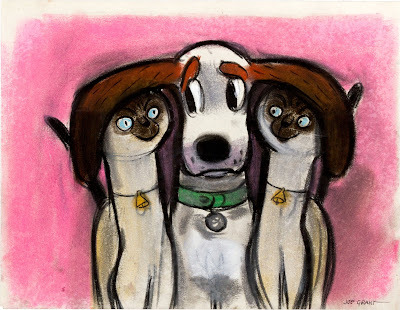 Joe Grant came up with this intriguing sketch, depicting Lady and the film's evil cats Si and Am. 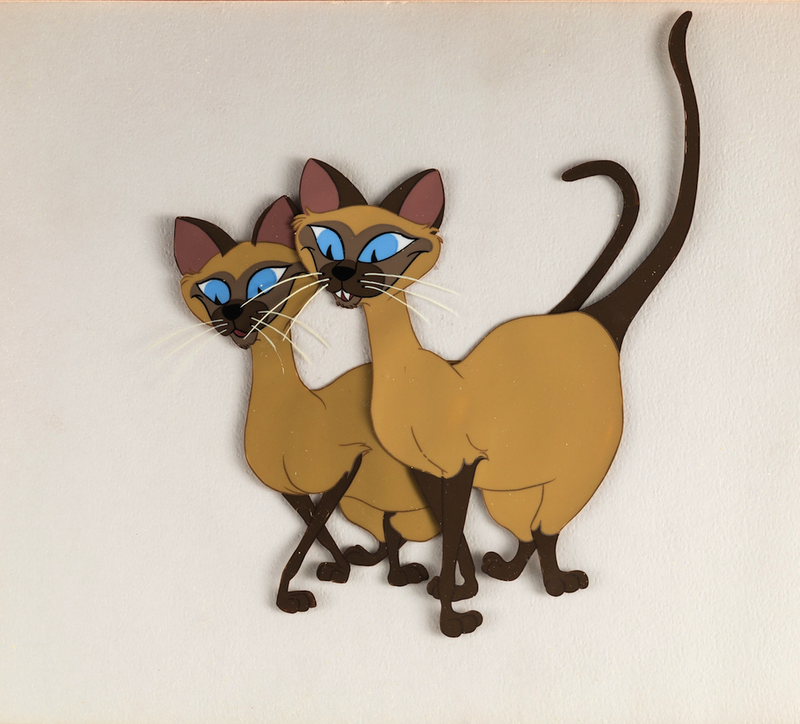 These cats presented a real design/animation problem. 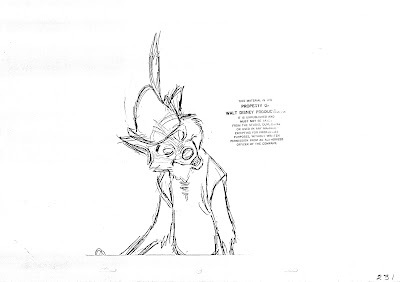 Ward Kimball started animation, but the footage turned out too zany for the film's style. 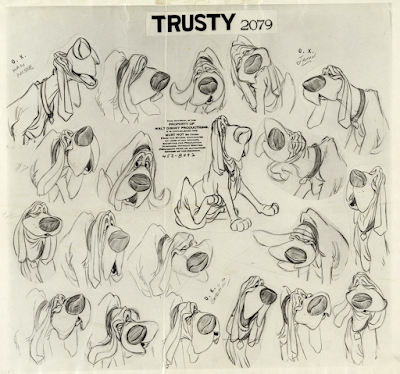 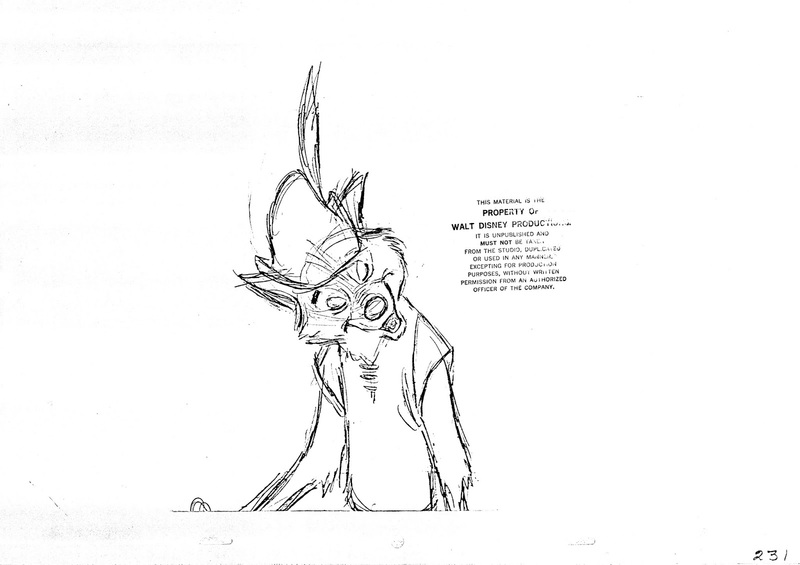 Milt Kahl reset the felines' design, and animators like John Sibley, Bill Justice and Bob Carlson took care of the final animation. 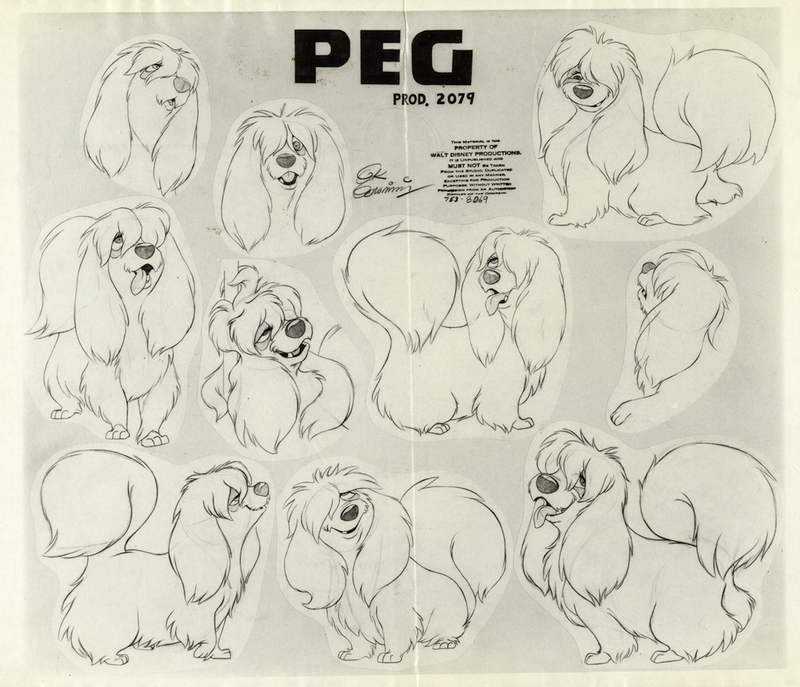 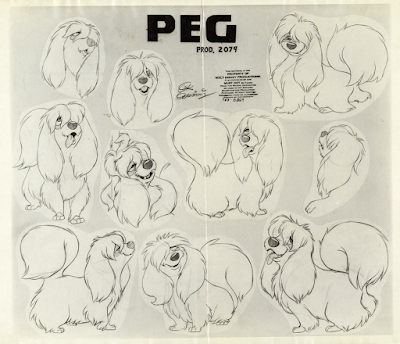 A clean up model sheet of Peg (whose name escaped Milt), comprised of drawings by then clean up artist Burny Mattinson. 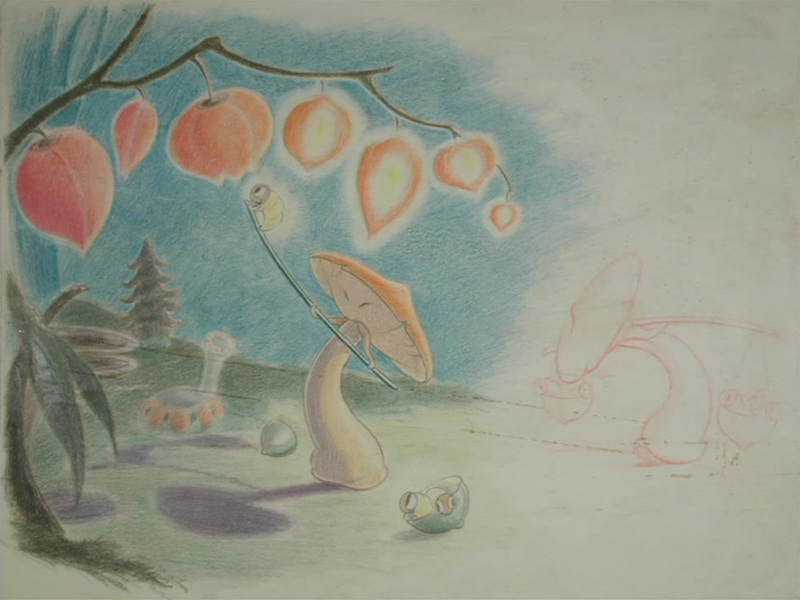 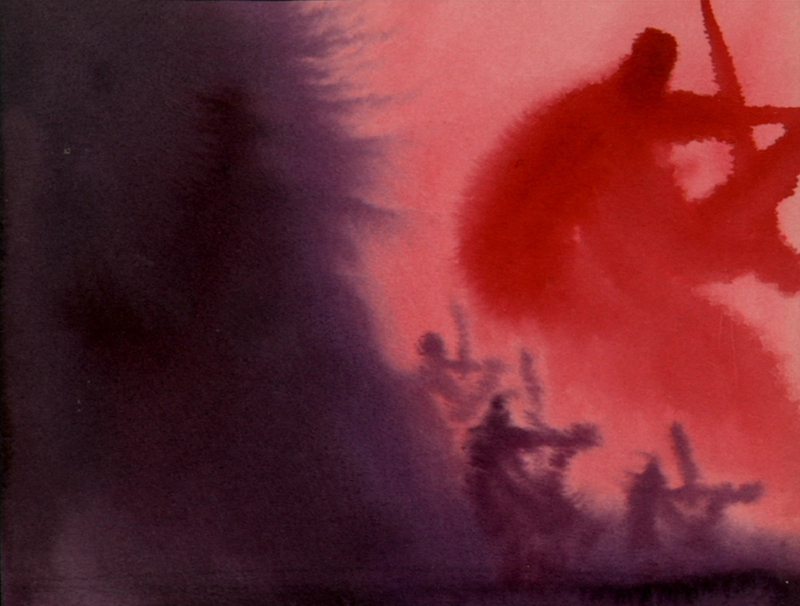 Animator Ed Aardal had his hands full animating this action scene toward the end of he film. 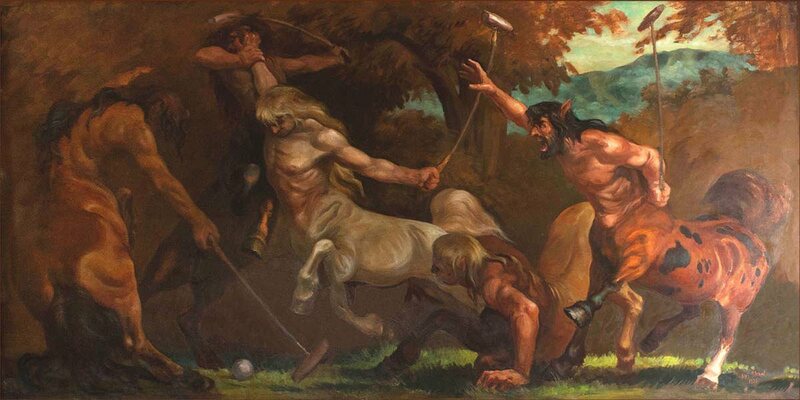 Realistic horses freaking out, beautifully executed. 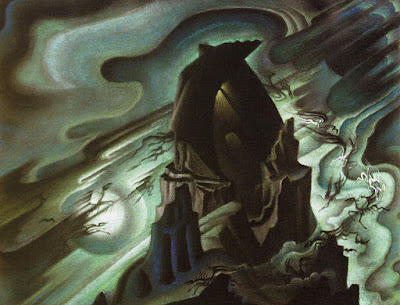 A color study for the romantic sequence by Eyvind Earle. 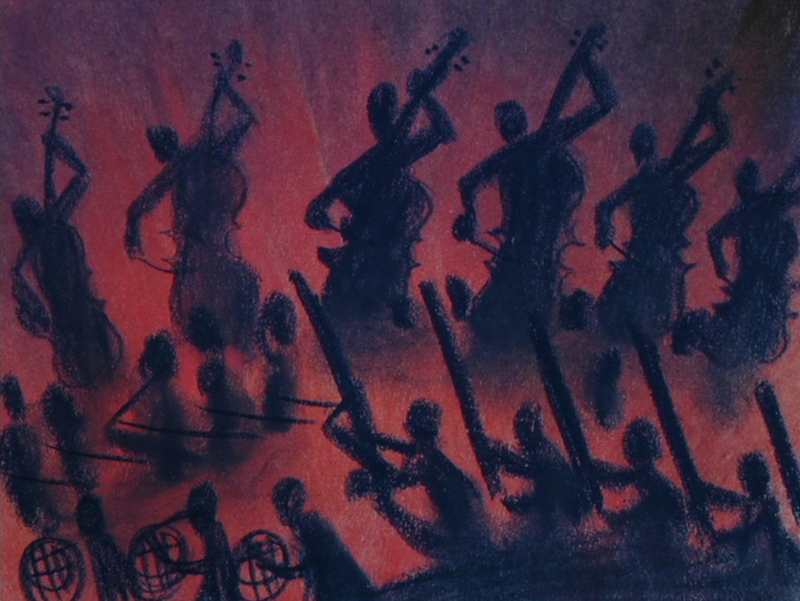 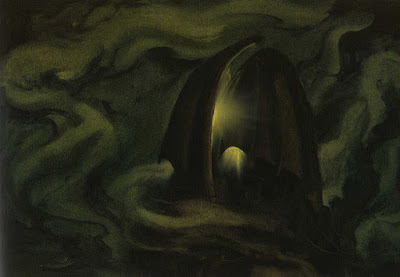 And a gorgeous background from the opening sequence, I believe painted by Claude Coats. 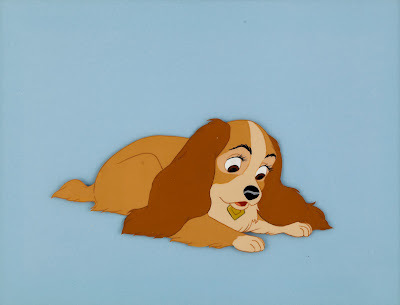 Movies like Lady & the Tamp seem to age beautifully, there is a degree of love and dedication missing from today's animated output. Disney background painter and imagineer Frank Armitage died recently at the age of 91. 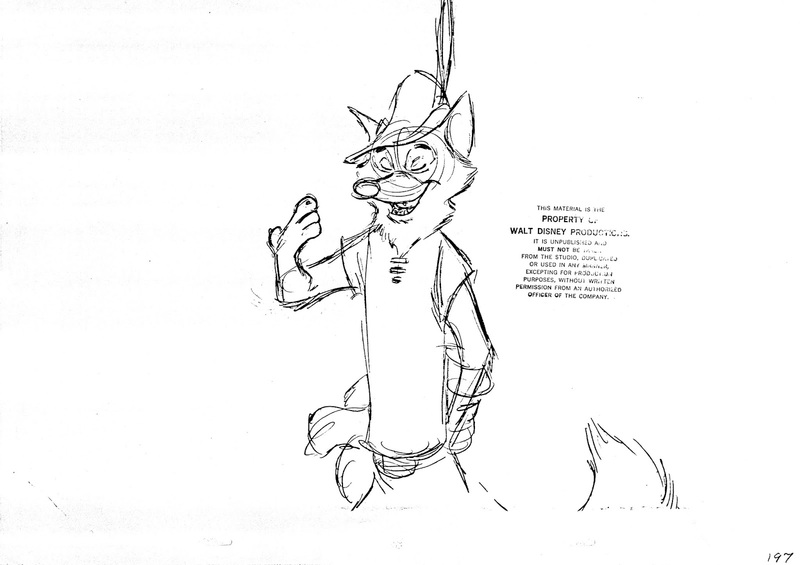 I remember meeting him briefly once or twice when still working at Disney. 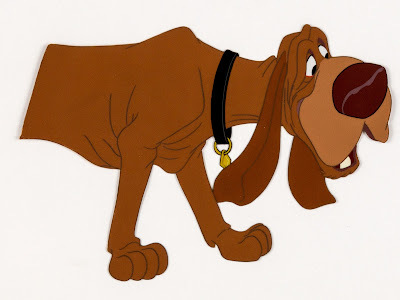 He was soft-spoken, and like all of the old-timers had high standards and was judgmental for all the right reasons. 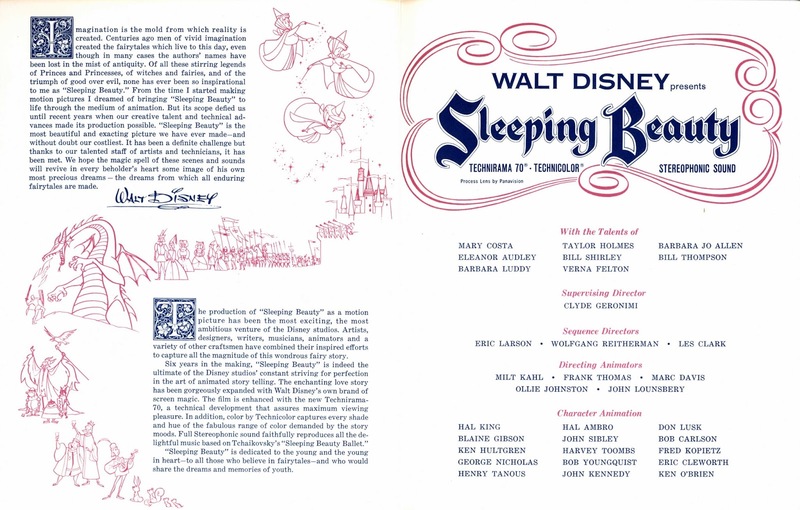 There were several reports in the media, most write ups focused on his contributions to Sleeping Beauty and his work for Imagineering. 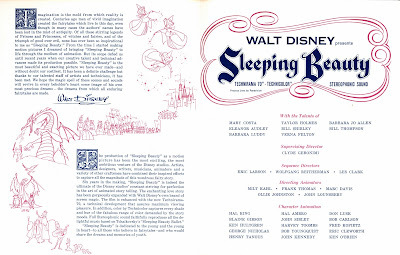 A few wonderful photos, taken during production of Sleeping Beauty, accompanied the tributes. 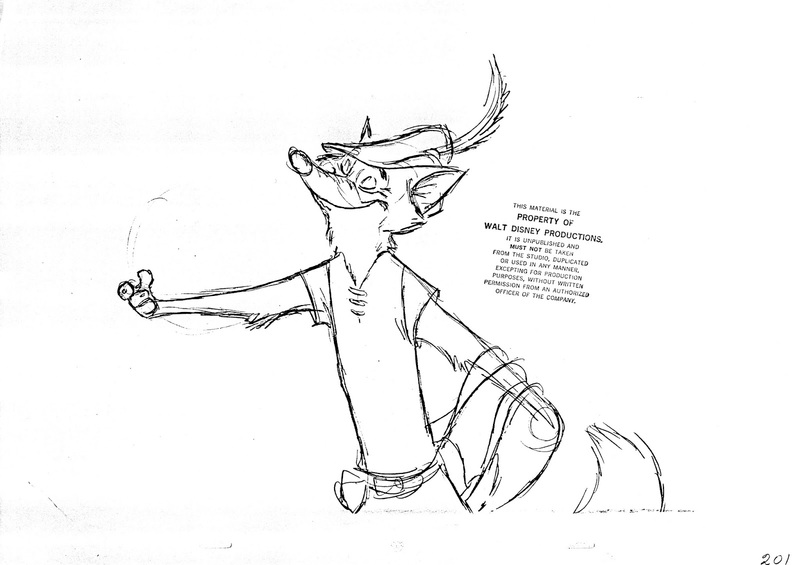 I am re-posting them here. 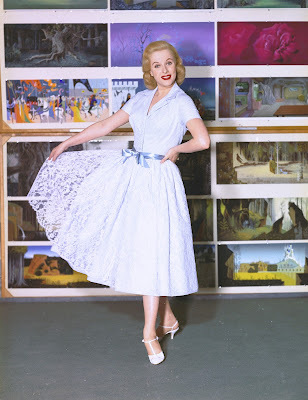 Mary Costa is a living Legend in the truest sense of the word. First of all she defies nature by looking decades younger than her actual age. 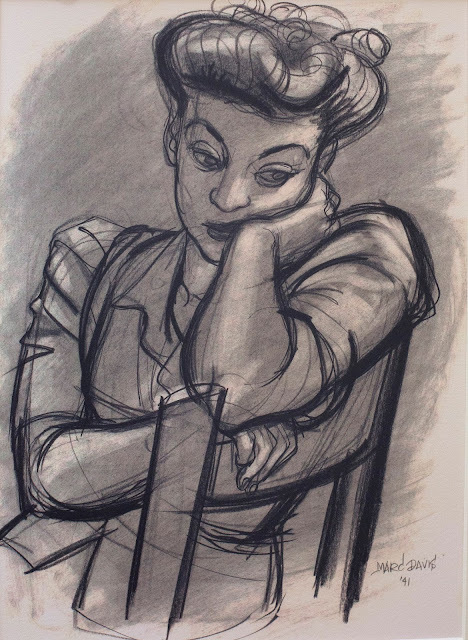 I have had the pleasure of spending time with her on several social occasions. 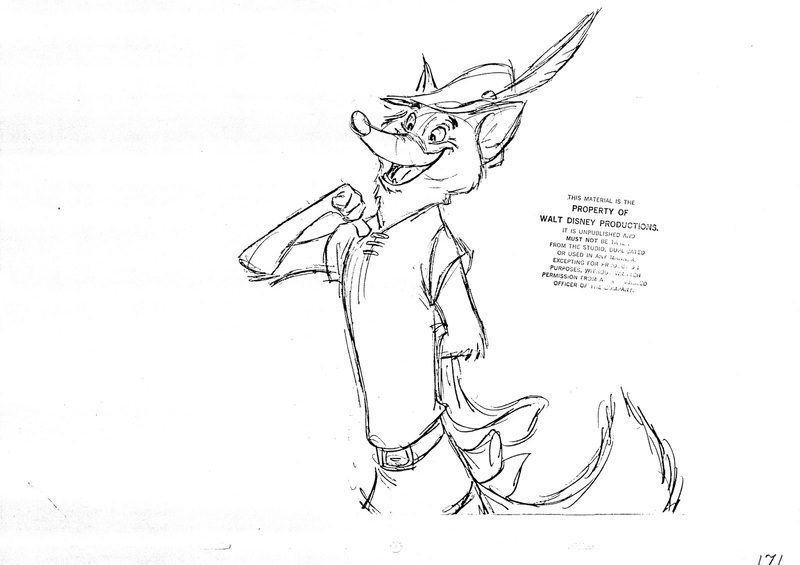 She is as lovely as you might imagine, and as the voice of Aurora, Mary exuberates a passion for life. 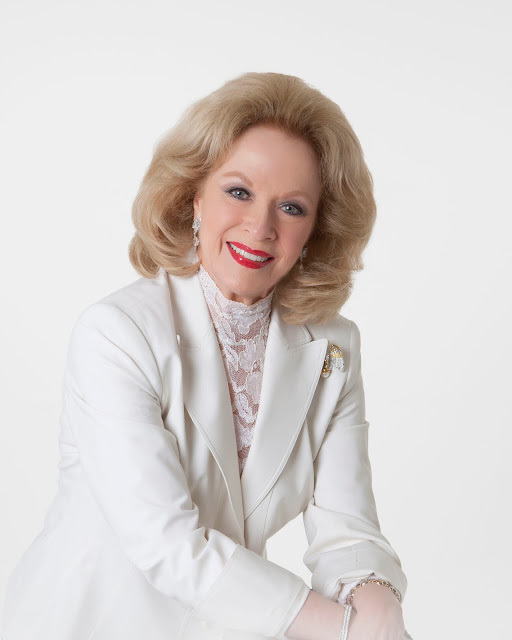 For those of you who don't know, Mary has had a prodigious career as an internationally celebrated opera singer. 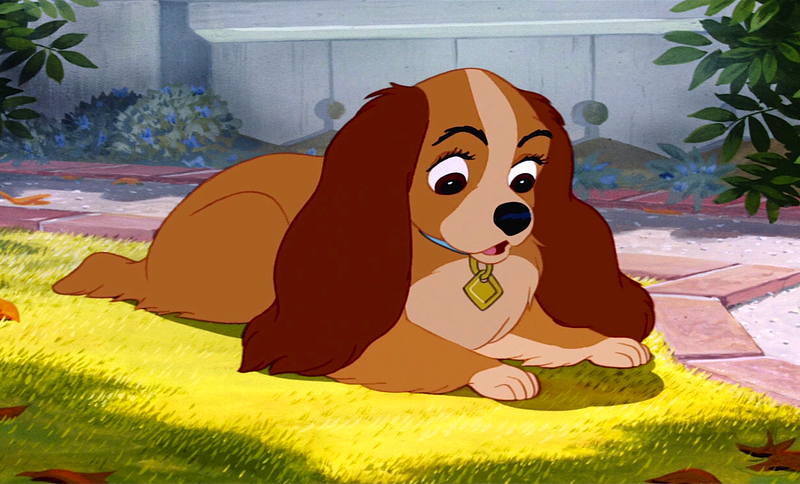 She talks about having to loose her southern accent for her role in Sleeping Beauty, and that she gets a kick out of the character of Charlette in The Princess and the Frog, since they are both Southern Belles. Look at these fascinating photos, they take you back to the late 1950s at Disney in HD. 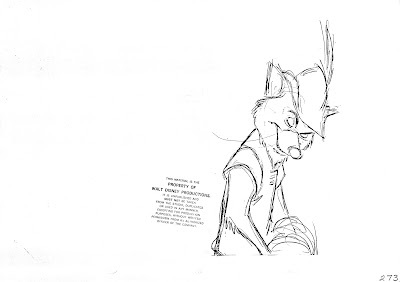 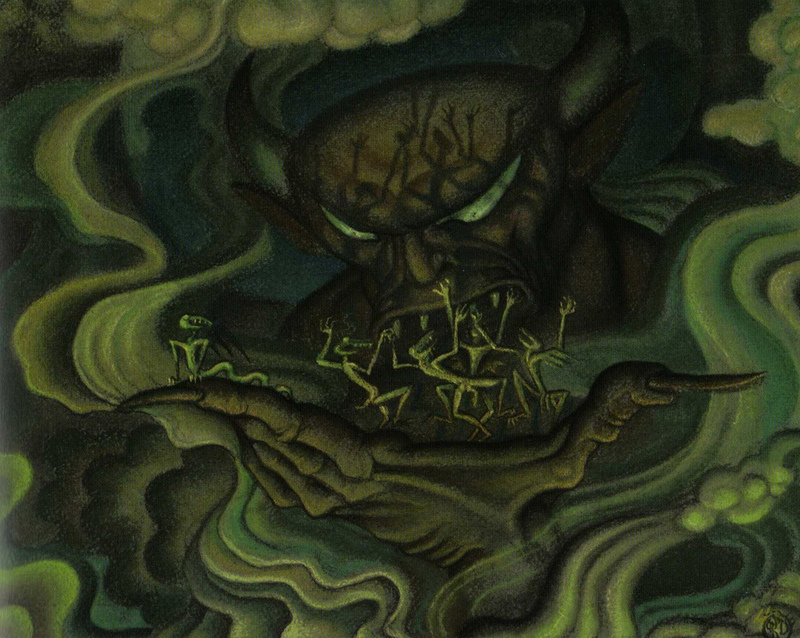 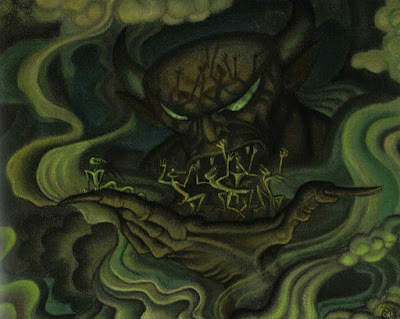 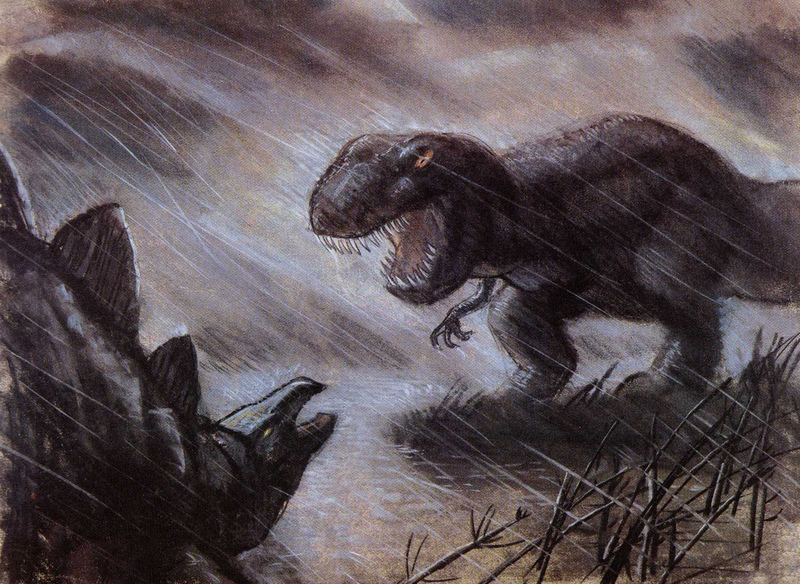 I like this illustration, which appeared on some of the film's posters, and was also used as a record cover for the movies's songs and score. 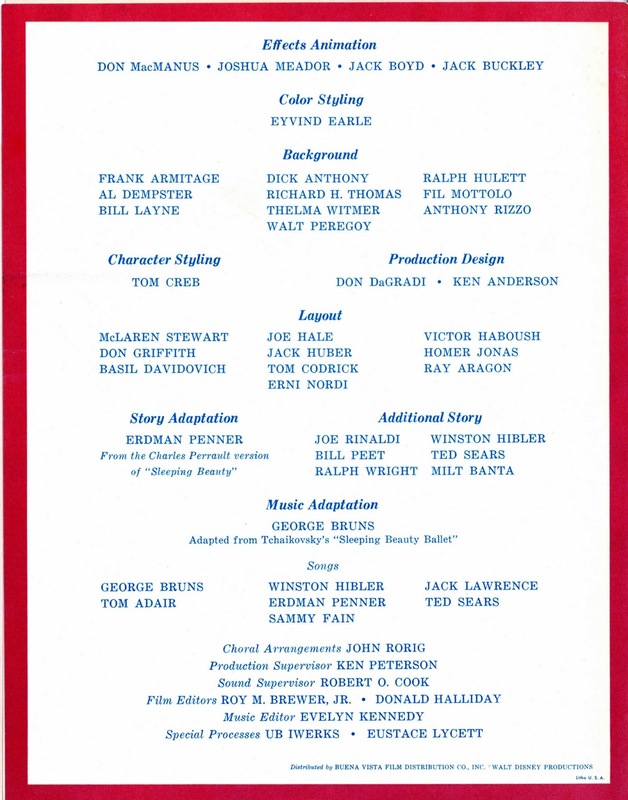 The film's program from 1959. 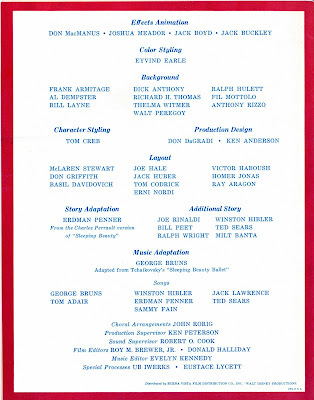 It includes most of the credits. 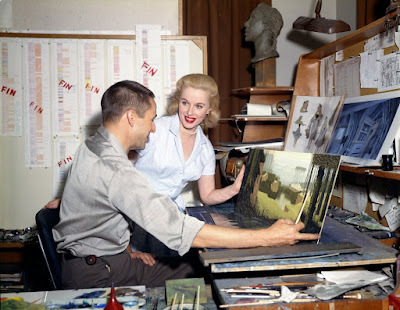 A pic from just a few years ago with friends at the Tam O 'Shanter, an LA restaurant Walt Disney and staff used to patronize. Walt's table is still kept in the same place. 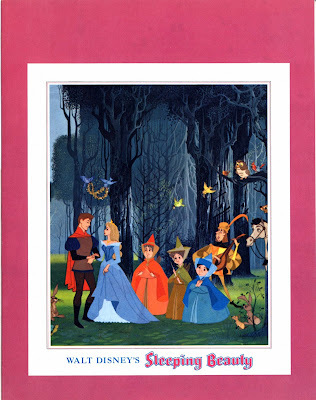 Mary, me, Kathryn Beaumont Levine, Richard and Elisabeth Sherman and Alice Davis. And yes, I was pinching myself, Disney Royalty all around. A terrific exhibition opened a few days ago at the Walt Disney Family Museum in San Francisco. 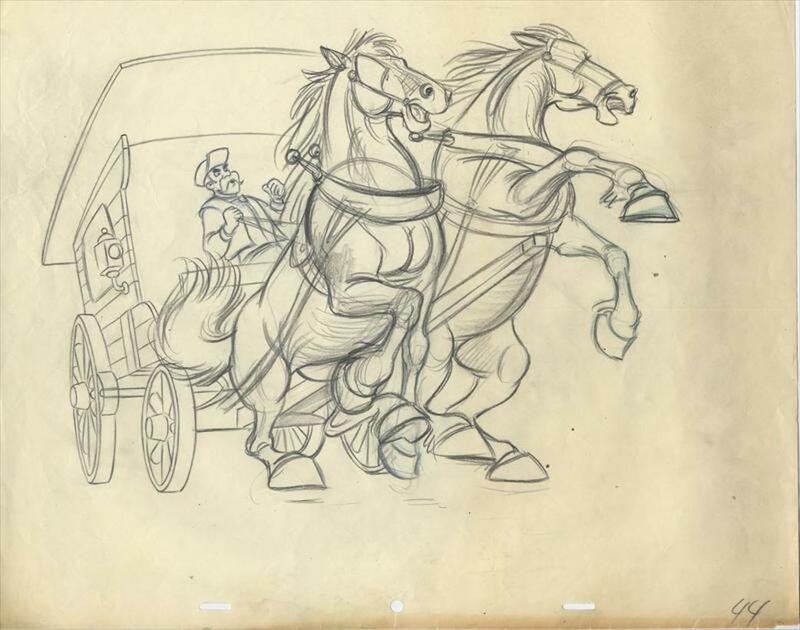 Mel Shaw: Animator on Horseback will run until Sept. 12, 2016. 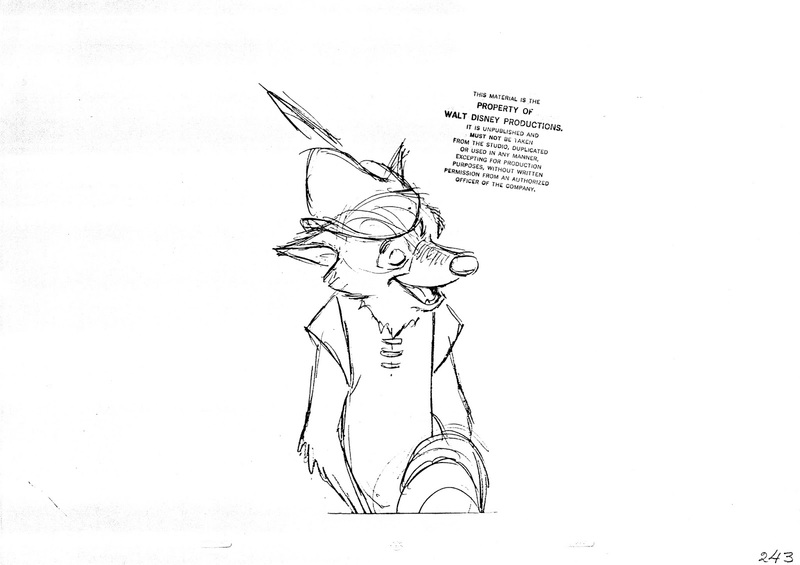 It is crazy to find out that Mel never had an exhibition during his lifetime, so this show is a first. 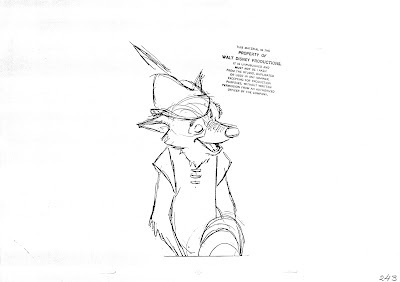 Don Hahn curated this beautiful exhibit which features examples of Mel's Disney concept art, and lots of his personal work. 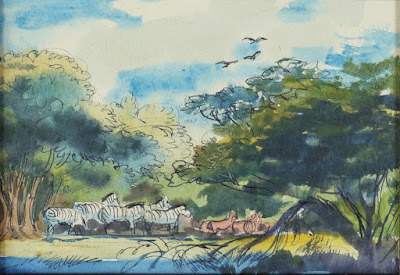 There are travel sketchbooks and paintings depicting California History, the Old West and many equestrian themes. Mel loved horses and he was an expert in horse anatomy and movement. In case you didn't know, he was also an amazing sculptor. 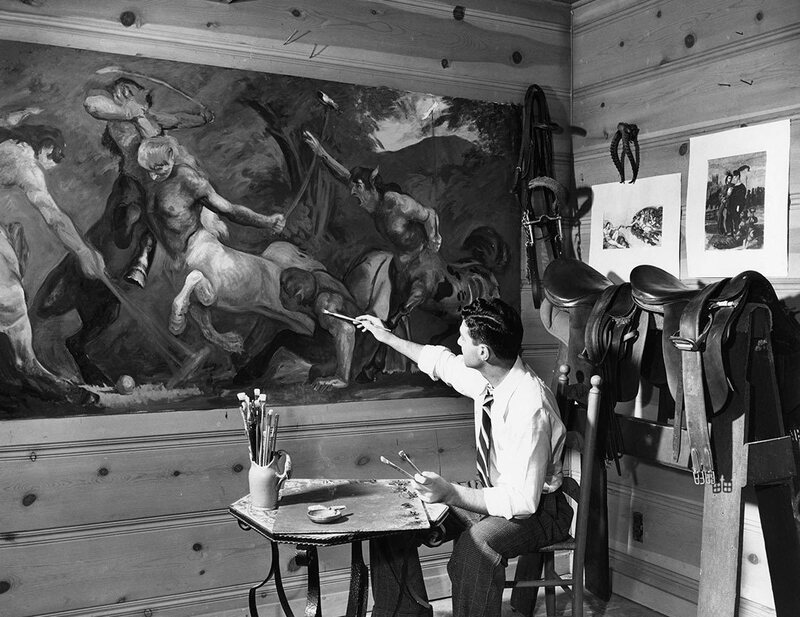 Several bronzes are on display. 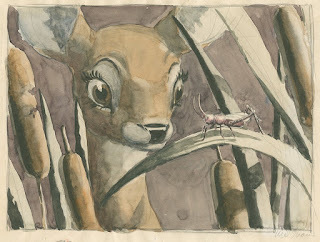 A watercolor sketch of Bambi encountering a cricket. Entering the imaginary world of Heinrich Kley, a group of centaurs playing polo. No, this is not a Fox & the Hound production painting. 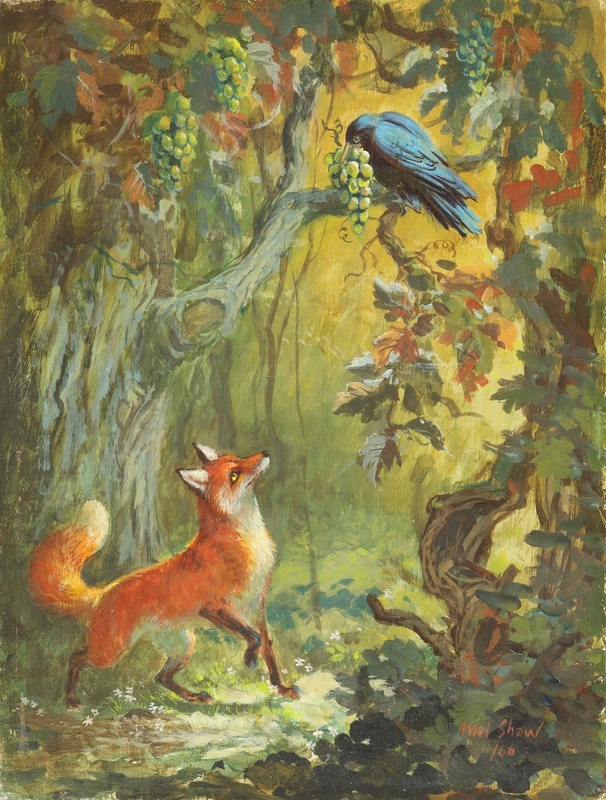 It is a scene from one of Aesop's Fables. I believe a non Disney piece of art. A simple, but beautiful sketch, made during one of Mel's trips to Africa. 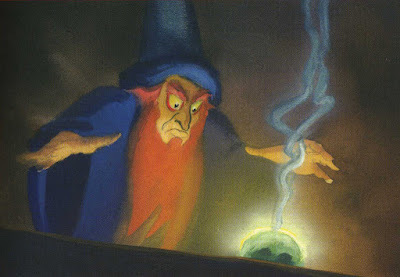 Most of you will recall this scene from Beauty and the Beast. 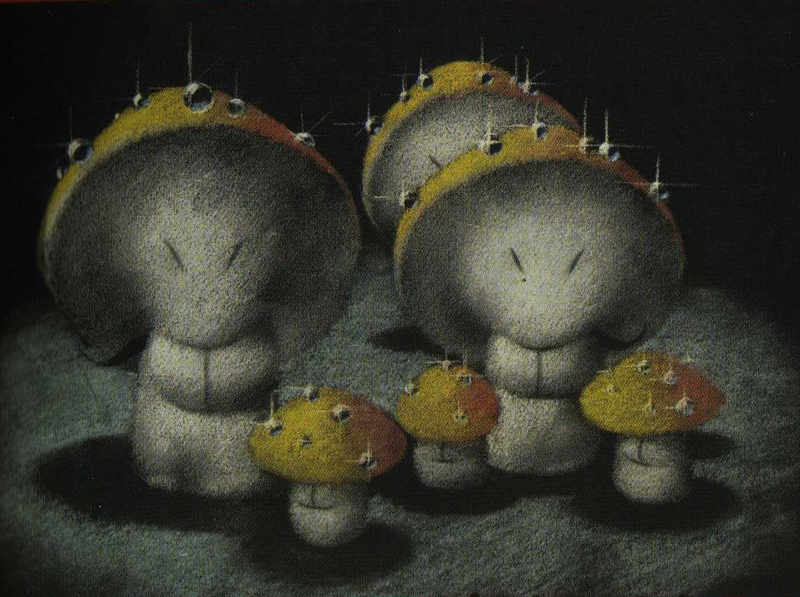 I remember as if it was yesterday, Mel just knocked out these gorgeous storytelling pastels, one more beautiful than the other. 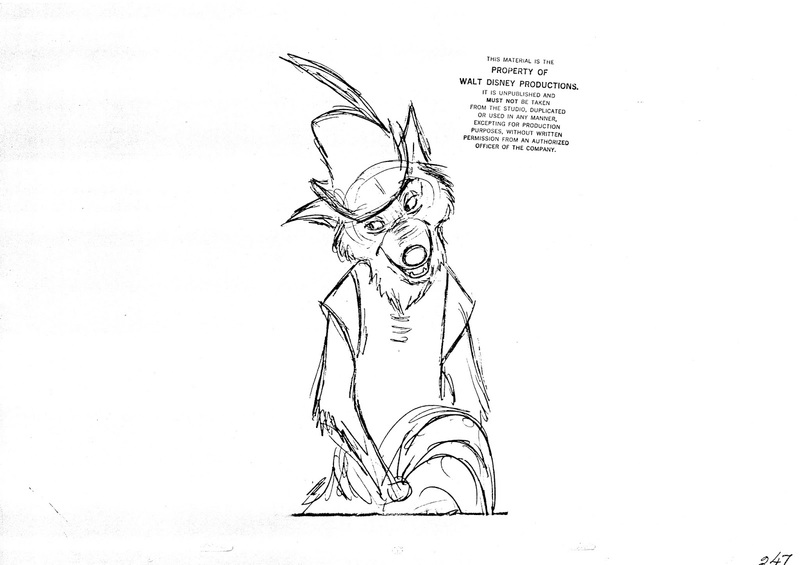 The unproduced Musicana, The Black Cauldron, The Great Mouse Detective, Beauty & the Beast and The Lion King, all benefited greatly from from Mel's inspirational work for these films. 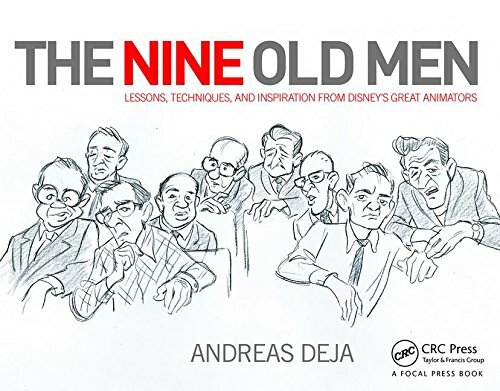 I really enjoyed working with Focal Press (Taylor & Francis) on my Nine Old Men book. I was thrilled to find out about the generous page count of 400. 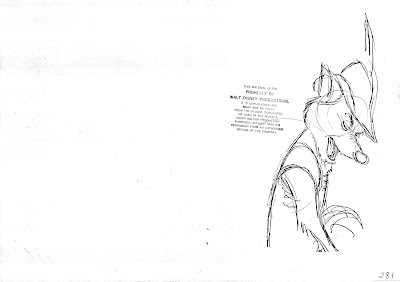 And after discussing a unique kind of layout, designer Alex Lazarou did such a beautiful job with the look of each page. 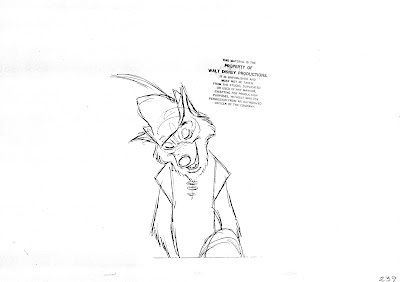 There was one aspect that frustrated me though, because I wanted to include so much more animation art such as key drawings from the amazing John Lounsbery scene, pictured above. 400 pages is a lot...but there is so much more great stuff to share. 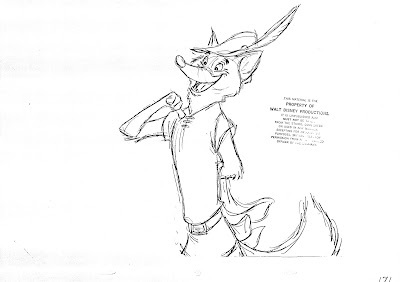 After completion of my film Mushka, I will try to get a book published with more Disney animation art, but not only by the Nine Old Men. Work by Fred Moore, Tytla and others would also be included. 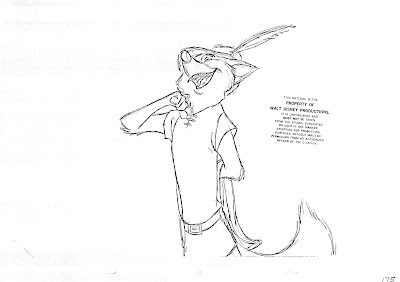 Lots of pictures, very little text. 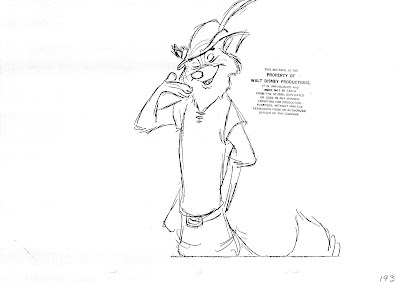 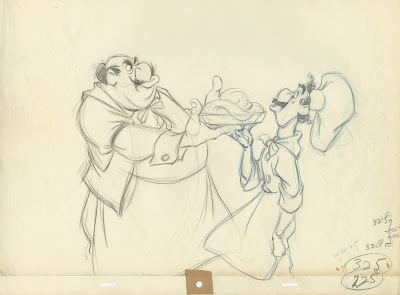 I do believe one single oversized book just on Milt Kahl's work is overdue. 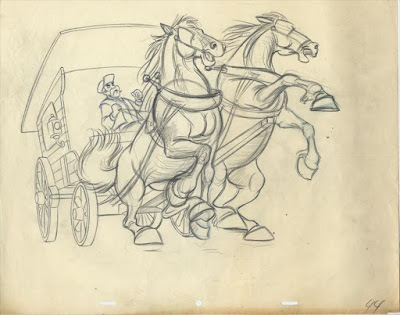 There are so many of his rough drawings that have never been published before and need to be made available to whoever is fascinated by his art. This volume should also include photos showing Milt at work through the years. 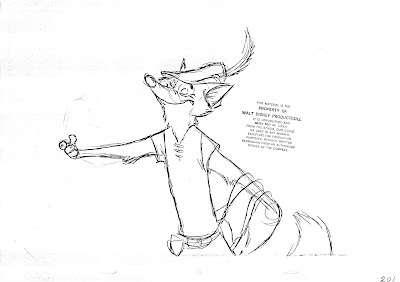 I hope you like the idea for these two books. 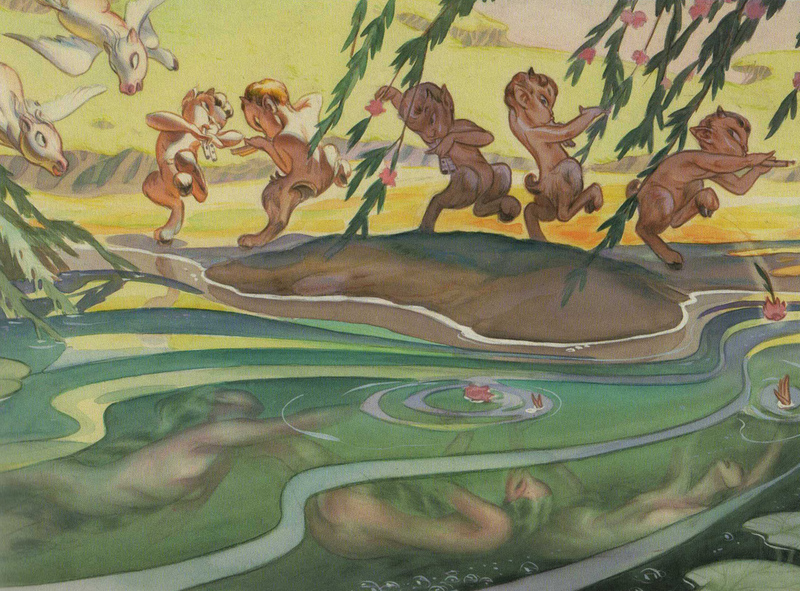 As I see it, we can't have enough classic Disney art to study and to be inspired by. 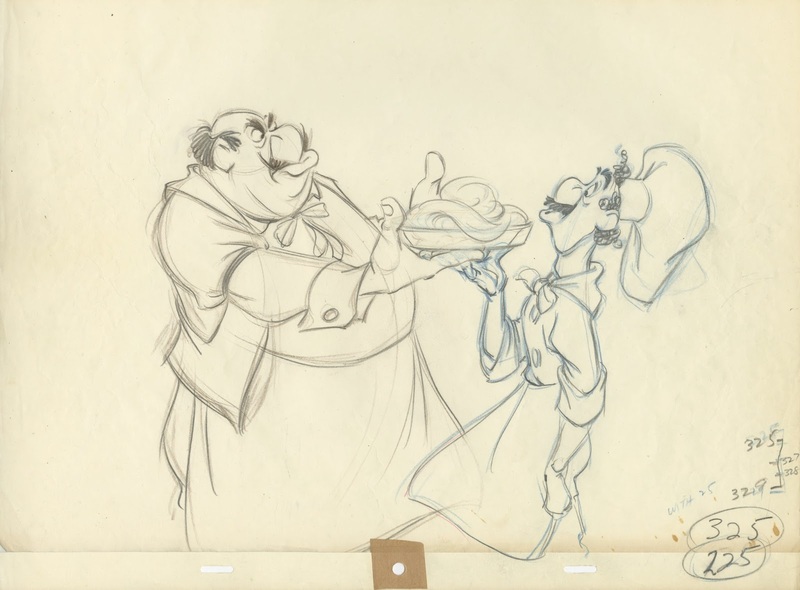 Looking back at the drawing with Tony and Joe from Lady & the Tramp, if this does't make you want to draw and animate, nothing will.